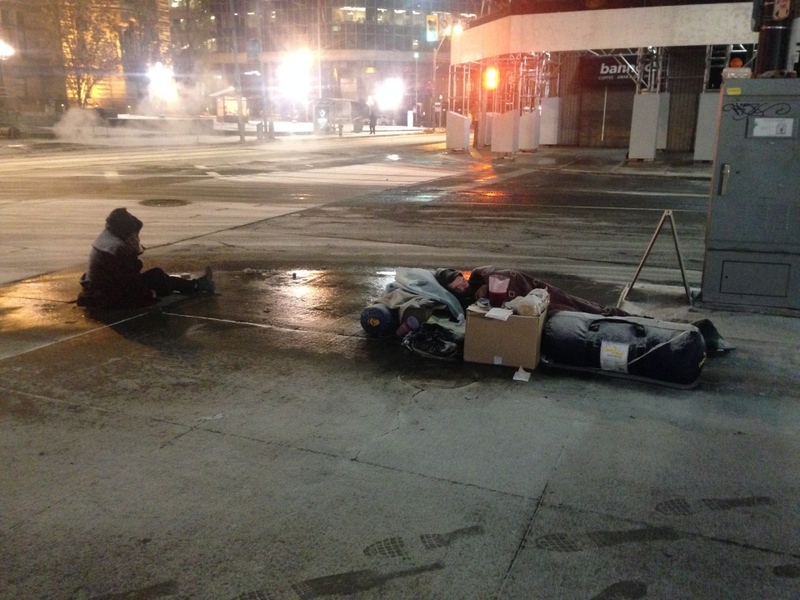 GTA residents are shivering through a spell of unusually frigid weather that has brought some of the coldest temperatures of the season and is posing a threat to homeless people who don’t seek shelter. Environment Canada extended its wind chill warning to all of the GTA late Thursday morning, including the city of Toronto, because severe wind chills of -30 to -40 are expected in many parts of Ontario through Friday morning. By late Thursday evening, the temperature had already dropped to -19 C with a low of -22 C predicted for the early-morning hours. With the wind chill the temperature is expected to feel more like - 33 C.
When the wind chill is -28 to -39, exposed skin can freeze in 10 to 30 minutes and people risk hypothermia if they are outside for long periods without adequate clothing or shelter from the wind and cold, Environment Canada warns. People should limit their exposure to the cold and bundle up when they head outside. An extreme cold weather alert issued by the City of Toronto remains in effect to mobilize services and add shelter spaces for the homeless. "It is a serious issue with these brutal wind chills where flesh can freeze in under a half hour," Environment Canada Senior Climatologist Dave Phillips told CP24 Thursday afternoon. "I mean this morning Iqaluit was warmer than Toronto, so there is no question about it: this is really cold. Yesterday, today and tomorrow are really the three coldest days of the winter so far and I am just talking about the honest temperature and not even the embellished wind chill, which is - 30 C in some places." 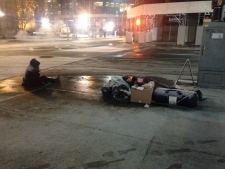 As the temperature continued to drop late Thursday night, street outreach workers patrolled the streets and encouraged homeless and other vulnerable people to go to a shelter or find a different warm place to stay. 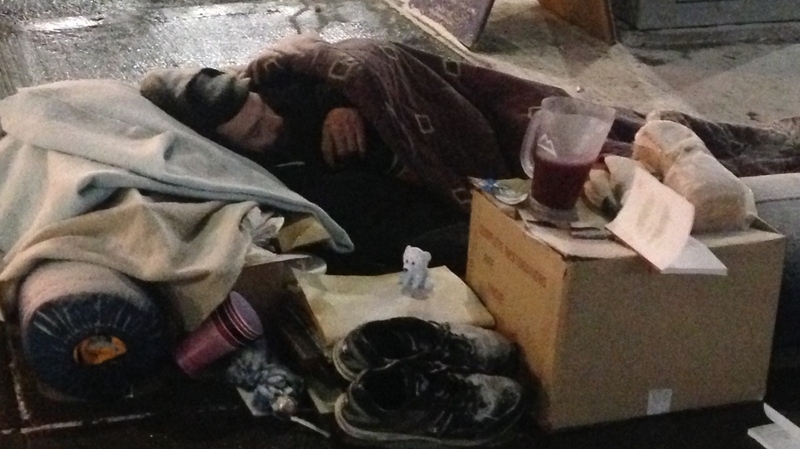 In Toronto, people are asked to call 311 if they see someone who they think is in need of street outreach assistance. If it is an emergency, call 911. The cold weather is expected to last until the weekend and it comes at a terrible time for dozens of Toronto Hydro customers who were required to repair structural damage and are waiting for their power to be reconnected following an ice storm 12 days ago. The utility says all power outages have been resolved. Torontonians may get a pass for complaining about the weather because the city doesn't normally experience this kind of cold, but places farther north have it much worse. On Thursday morning, the temperature was -42 C (-51 wind chill) in Timmins, -38 (-47) in Thunder Bay, -35 C (-48) in Sudbury and -27 C (-29) in Ottawa. Toronto's cold spell will continue Friday afternoon with a high of -13 C and a wind chill of -33, Environment Canada warned. Things will drastically improve Saturday when the daytime high hits -2 C, matching the normal high for this time of year. Sunday's high is expected to be zero degrees and the low is expected to be -2 C.
Normal lows for early January are -9 C.